Good news, everyone! 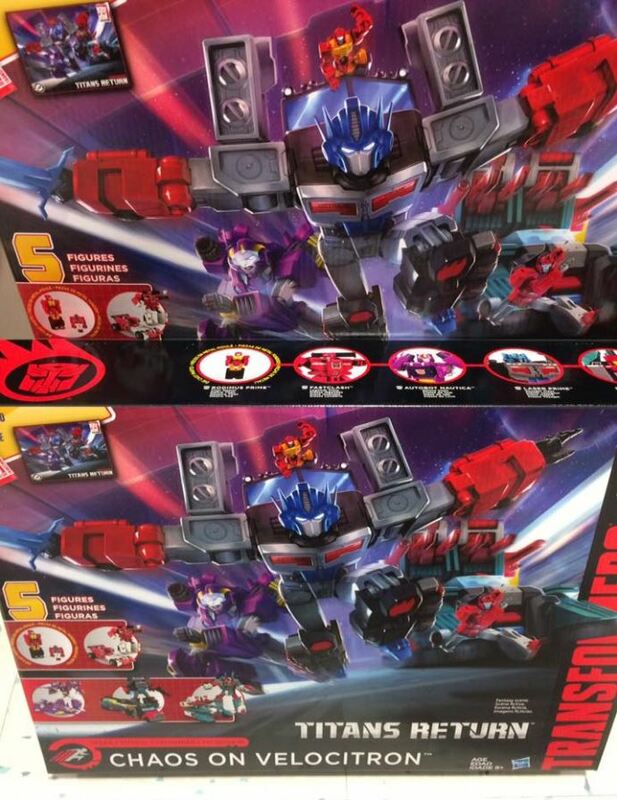 More new Titans Return toys have hit US retail, this time in the form of the first of the giftsets that will run alongside the line and help to offer some additional toys that aren’t going to be available individually. The Chaos on Velocitron or “Speed” set has arrived at retail in Toys R Us in Erie, Pennsylvania. 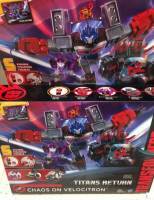 The set has a spread of characters from different size classes, and includes a Leader class Quickswitch, a Generation 2 themed Voyager Laser Optimus Prime, a Deluxe class Nautica, Legends class Fastlane, and die-cast Titan Master Rodimus Prime. The set was spotted by TFW2005 user ebonyleopard.